We are Central Nebraska’s Complete Collision Repair Center. We can repair everything from frontend damage to layovers to jack knifes to sagging doors. We work on all makes and models and with all insurance companies to get your truck repaired back to factory specs and back on the road. 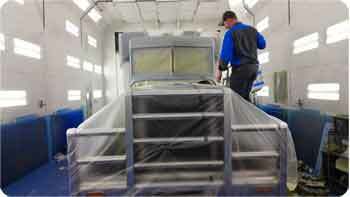 Our body shop has a 60 foot long, state of the art, semi-down draft paint booth. We are an Axalta Transportation Finishes Certified spray shop, ensuring that our paint jobs are backed by a 7-10 year product warranty. We can even provide you with a loaner hood and temporary repairs to keep you on the road while work is being completed. 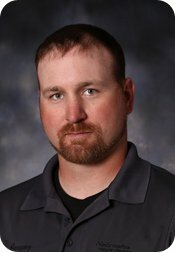 call Jeremy at (402) 463-6737.